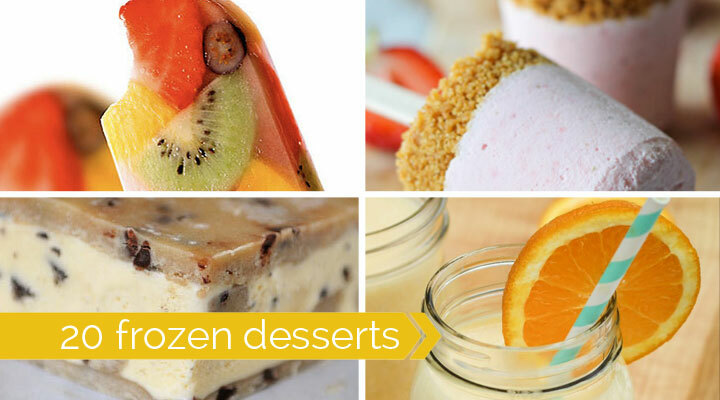 In today’s post: As it heats up outside, keep things cool with 20 fabulous cold dessert recipes. I love baking – it’s one of my favorite things to do – but no one wants their oven putting out extra heat over the summer. But that doesn’t mean I stop making delicious desserts for three months of the year (anyone who has seen me can attest to that!). 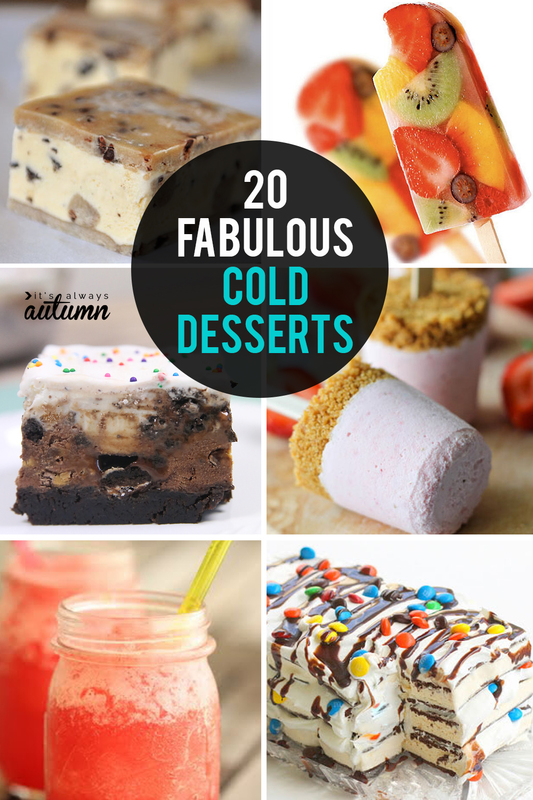 I’ve gathered 20 cold desserts and frozen treats to try this summer. These are recipes that won’t heat up your kitchen or be too hard to put together after a long day of playing with the kids. I kinda can’t decide which one to try first! 1. 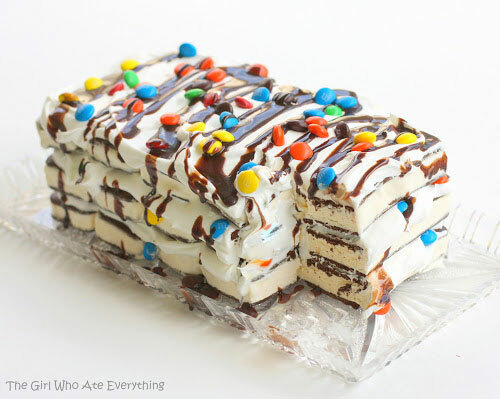 For the easiest ever no bake cake, try this cool whip, fudge and candy-topped ice cream sandwich cake from The Girl Who Ate Everything. 2. Love hot chocolate but not too jazzed about the “hot” part this time of year? 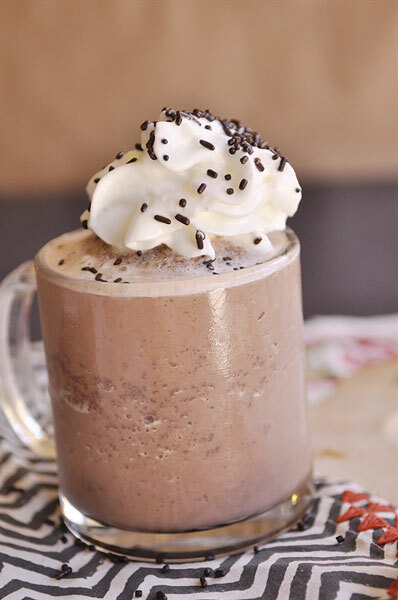 Try frozen hot chocolate. Recipe from Your Home Based Mom. 3. 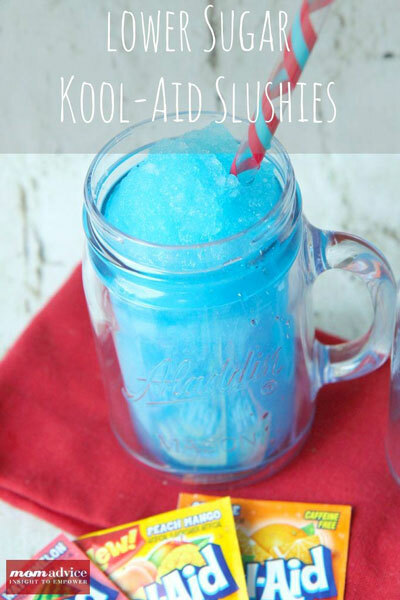 If you need a quick cold dessert for a yard full of kids, try these Kool-Aid slushies from Mom Advice. 4. For a more sophisticated version that adults are sure to love, check out this watermelon-lemonade slushy from Half Baked. 5. 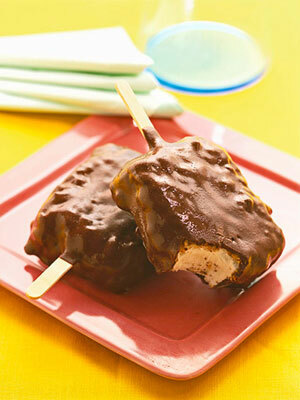 For an impressive-looking cold dessert that doesn’t take long at all, try these chocolate almond bars from recipe.com. Slice any store-bought ice cream into bars and then dip in chocolate and nuts! 6. 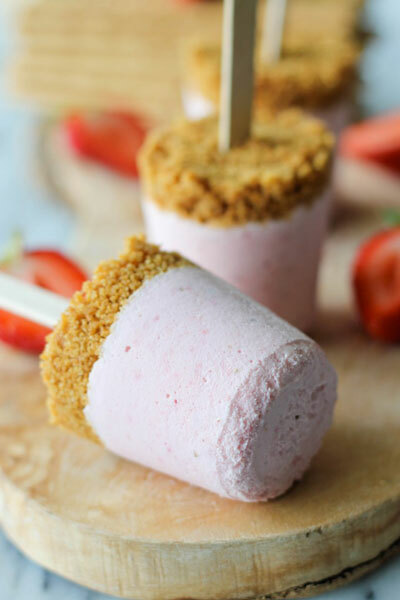 I usually gravitate toward chocolate desserts, but these strawberry cheesecake popsicles from Damn Delicious just kind of tractor beamed me in – they look amazing! 7. It’s summer, so everyone’s in the mood for s’mores – time to try a frozen version! 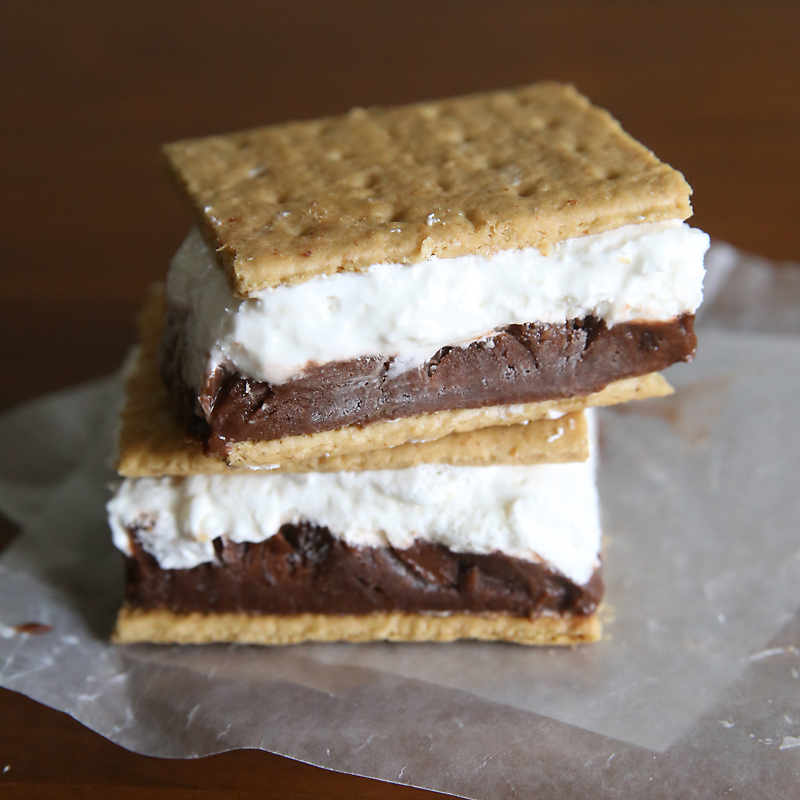 These frozen s’mores are easy to make in a 9×13 pan and pop in the freezer. Once frozen, you slice them apart and have a delicious cold treat for everyone. 8. 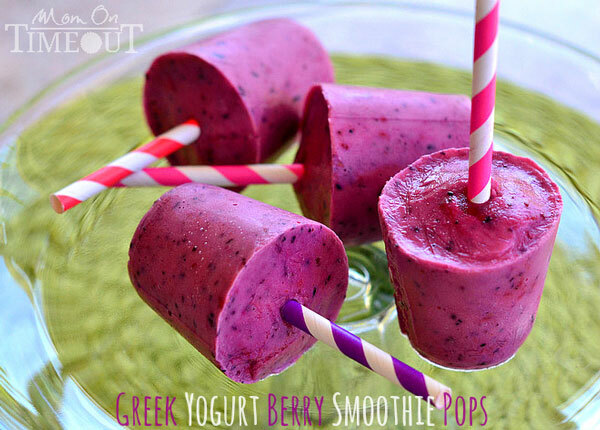 I love decadent frozen desserts, but I also like something cold and delicious I can snack on without feeling guilty – looks like these Greek yogurt berry smoothie pops with no added sugar would fit the bill! Thanks to Mom on Timeout for the recipe. 9. 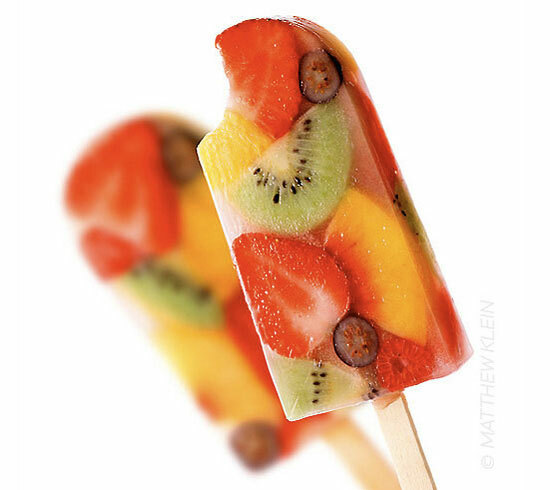 Look at these absolutely gorgeous fresh fruit popsicles featured on Popsugar! 10. 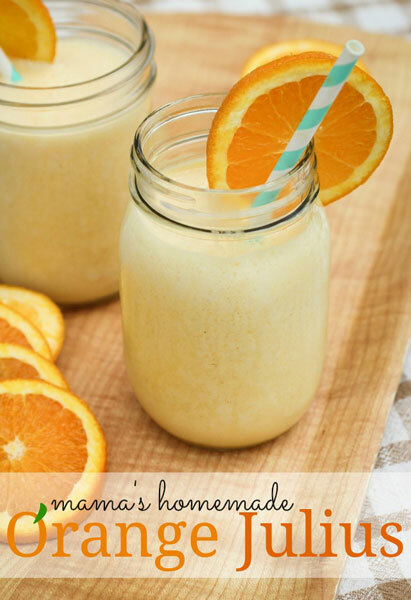 For a super easy cold dessert, I really really like this homemade Orange Julius recipe from The Freckled Fox. 11. Kids Activities Blog always has fantastic ideas! 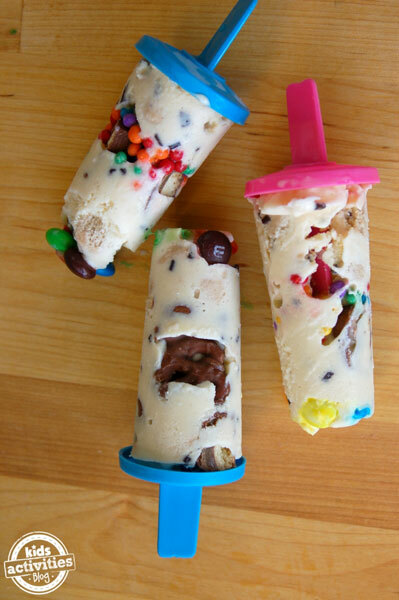 I love their cute candy filled ice cream pops, and my kids would too. 12. 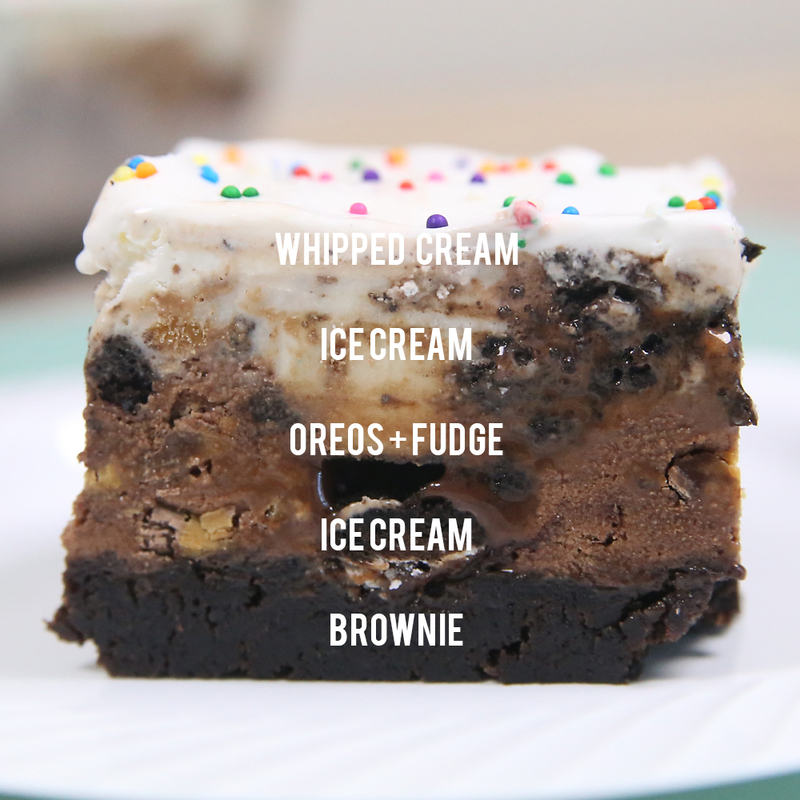 Brownie ice cream cake, anyone? 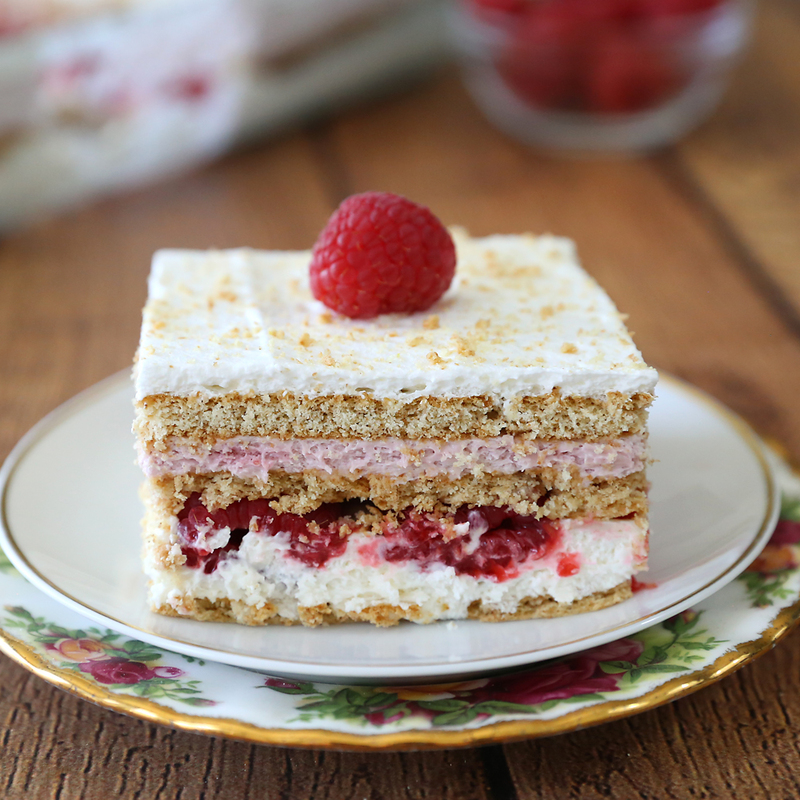 This just might be the best cold dessert recipe you’ve ever tried! 13. 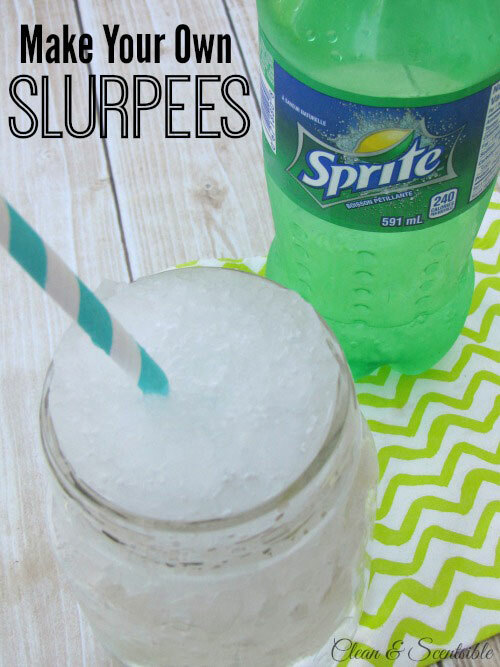 Clean and Scentscible share a fun technique for making homemade Slurpees from any soda – my kids would love this! 15. I love homemade ice cream, but I’ll admit it’s a bit of a hassle – but no churn ice cream is a breeze! 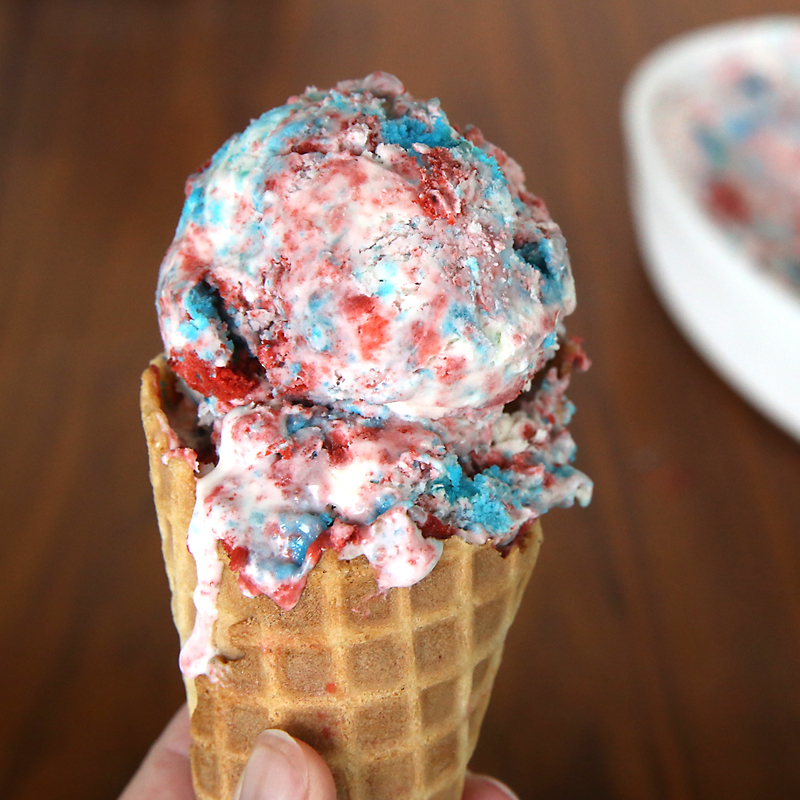 This no churn cake + icecream version features red and blue cake piece for the 4th of July, but you could use any flavor cake you like best. 16. This is genius! 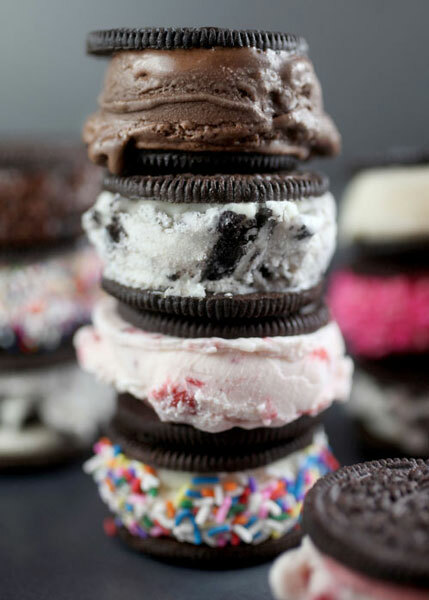 Open up an Oreo and add ice-cream for super easy Oreo ice cream sandwiches, from Bakerella. 17. 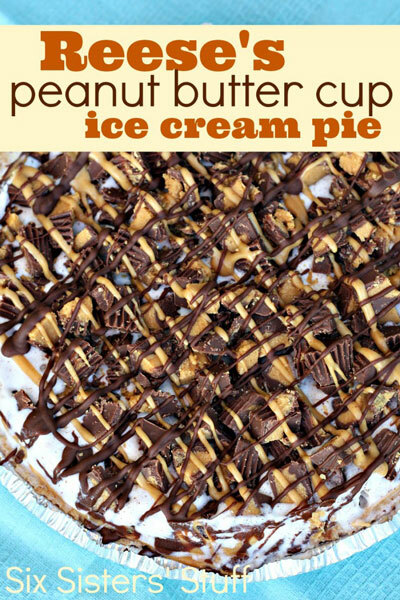 I cannot wait to try this peanut butter ice cream pie from Six Sister’s Stuff. 18. 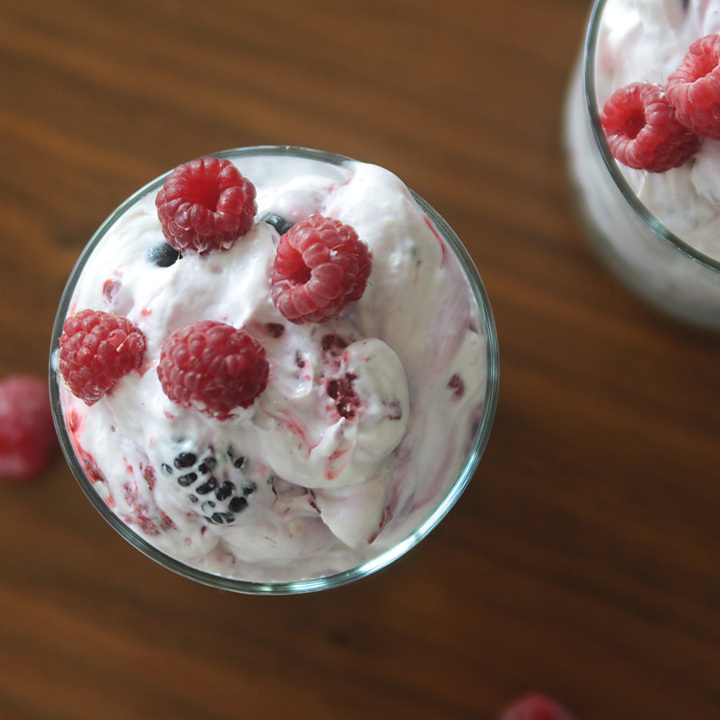 This next cold dessert works both as a sweet side dish or as a light treat: berry cheesecake pudding salad. It super fast to mix up and everyone loves it! 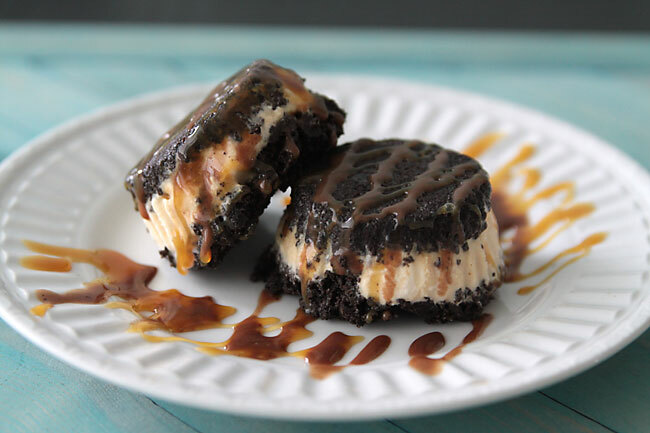 Ok, these last two frozen desserts will take just a smudge more prep time, so maybe they aren’t the fastest things to put together, but there’s still no baking, frosting, etc., so I’m calling them easy. Plus they both look so good I couldn’t leave them out. 19. 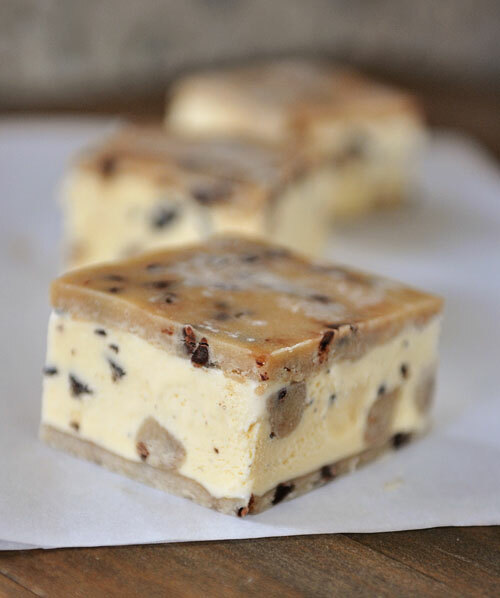 Check out these cookie dough ice cream sandwiches from Mel’s Kitchen Cafe. Wow. Her blog is one of my very favorite and it’s not hard to see why. 20. And last, one of my all time favorite cold desserts – Oreo Madness. It’s a knockoff of the old TGI Friday’s version, back from before they started serving Klondike bars and calling it Oreo Madness. This is the real deal, and it’s incredible! WOW! What a line up. I’ll be making the Greek Yogurt Berry Smoothie Pops and the Cookie Dough Ice Cream Sandwiches. Thank you for putting this together in one spot. Oh, what a treat to be included in this awesome round-up! 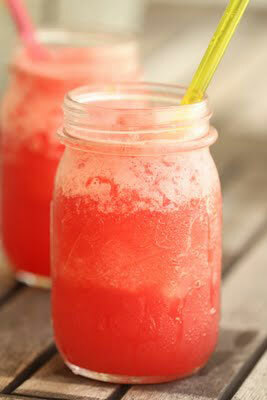 I can’t wait to add a few of these to our summer treat plans! You made my day! If you are connect the website link and you are not conform the use of the window10 and you are require the same process of the website desktop clock windows 10 and more user are copy of the same website. you have enjoy the working and connect the website.